It’s an exciting time for freelance editors: the needs of professional writers are constantly increasing, and as a result, the number of quality freelancing jobs are also on the rise. Whether you’re just getting started or you’ve been freelancing for years, you’re probably thinking about how to maximize your clientele and profits. This all begins with learning how to start an editing business and securing those sweet, sweet jobs. 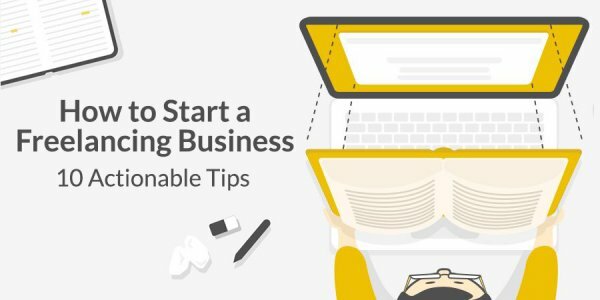 No matter your previous experience, the process of starting your own freelance business can be daunting. The first thing to know is that there are several varieties of editing to consider as you decide how to focus your business. Here's a quick overview of the different kinds of editing and the necessary skill set for each. 1. Developmental editing is the process of dissecting a piece to examine its style, structure, plot, and characterization, and making detailed suggestions on how to improve these elements. Developmental editing jobs can be very labor-intensive — some manuscripts require weeks or months of work to perfect. However, if you’re tenacious and passionate about shaping creative work, developmental editing is the specialty for you. With these types of jobs, it's not unusual to speak with the author — sometimes before, sometimes after, sometimes both — so naturally, they require some amount of talent for client care. 2. Copy editing looks for inconsistencies on a smaller scale than developmental editing. Rather than overhauling the plot, copy editing ensures the story gets told in a smooth, error-free manner. Errors you’d look for might be clashing or unexplained details, as well as run-of-the-mill spelling and grammar mistakes. You need a sharp eye to take on copy editing jobs, plus the ability to stay focused on minutiae for many pages in a row. A typical copy editing job would require you to deliver a line-edited manuscript (often using track changes) and perhaps even a stylesheet to ensure that proofreaders don't undo your intentional edits. 3. Proofreading is the icing on the editing cake. As a proofreader, you’ll look at work that’s basically finalized for any overlooked typos: missing commas, uncapitalized names, etc. Proofreading jobs are great for freelancers with limited time, since they don't require as much of a time commitment as, say, developmental editing work. That said, you still have to pay close attention to detail, since proofreaders have the final word on the text. In a standard proofreading job, you can expect to receive a copy of the manuscript in digital form — even if the author prefers to write longhand. You will also receive a copy of the stylesheet unless the author and copy editor have strictly adhered to a standard style guide (CMOS, for example). Now that we’ve covered the various types of editing, let’s get down to business (literally!). The following tips will guide you through how to successfully build your business and market yourself as an independent freelancer. Learn how to start your own editing business with these 10 helpful tips! In order to form any thriving business, you need to figure out your niche. This entails analyzing your competition to determine what you can offer that’s valuable and unique. For example, when her publishing company acquired a cookbook imprint, editor Perrin Davis learned more about cooking so she’d be able to give her clients the benefit of insider knowledge. Honing and capitalizing on your niche demonstrates your specific expertise to potential clients, and prevents you from biting off more than you can chew with any given freelance editing job. That’s why, as you begin building your business, it’s ideal to start with a small pool of clients and provide them with the best service possible: quality over quantity. Small businesses don’t grow overnight. If you’ve been in the editing industry a few years, you might have some prior clients you can round up to give your business a boost. But if you’re completely new to freelance editing, it’ll definitely take some time to get together any number of clients, so don’t let the wait discourage you. The magic formula for your building-a-business outlook is patience + proactivity. You have to put yourself out there if you want to gather new clients! That means networking with other professionals, shamelessly asking for referrals, even outright advertising — whatever it takes. However, you might also get frustrated by how hard it is to build a reliable client base, or feel intimidated by more experienced freelancers. Don't be. It’s a delicate balance to strike, but just remember to stay the course and remember the magic formula. Though a great website is a must for any freelance business, you can’t just slap your name and contact info on a WordPress template and expect clients to come running. You need your website to reflect your best professional work as well as your individual personality in order to to appeal to clients. In other words: you need to build your brand. I'm a professional editor with ten years in the publishing industry under my belt (Random House, then Diversion Books). I have edited authors across genres, with a focus in mystery / suspense / thriller and romance. I am also a published author, with my book, Little Disasters, published by Viking in May of 2018. After thirteen years in New York, I now live in Charlottesville with my wife and our very photogenic dog. Writers like to know that they’ll be working with a real person, not just an editing robot. You might even consider putting an introductory video on your site so clients can actually see you! If you to score that editing job over another freelancer, anything that helps you stand out from the crowd is worth a try. Even within your professional niche, you’ll still get a wide range of clientele, all of whom have different needs. It’s important to segment these clients into groups so you can address them appropriately. Try to categorize clients in two primary ways: by editing needs and communication needs. Again, even within your particular niche, writers will have certain elements that require more attention than others. So if you’re a developmental editor, you might need to separate your clients’ editing needs into structure, style, or plot categories. Each of these calls for a different approach if you want to make constructive changes. Communication is critical when it comes to the writer-editor relationship, so make sure you understand your clients’ communication needs as well. You should segment clients based on how often you’ll be in contact, and through what medium: email, phone, Skype, etc. As for how to determine your clients’ needs, the answer is simple: ask them. Send each potential new client an inquiry asking about their work, what they’re hoping to improve, and how best to communicate with them. This initial understanding will clarify expectations and reduce stress for the both of you. Pricing is one element to definitely consider before you launch your business. You want your pricing to be consistent from client to client, and to accurately reflect the skills and experience you bring to the table. Novice editors working on a freelance job typically charge about $20/hour, while more advanced or established editors may charge upwards of $50. You should also always ask for upfront payment, or at least a deposit, so you know your client is committed to your relationship. You may switch to installments after that — but still, never hand over the full extent of your work without being compensated for it. As for methods of payment, consider what’s optimal for you: a mailed check, an electronic wire transfer, or a virtual payment service like Venmo. Create a custom invoice sheet for your business and use it for every transaction to strengthen your brand, as well as to keep your affairs in order (which brings us to our next tip). Did you know you can charge $50/hr or more as a freelance editor? Organization is crucial to running any business, especially one that operates virtually. You may not have tangible records for your work, but for every freelance editing job you take, you'll need to keep track of your schedule, forms, and correspondences effectively. First and foremost, never be late on a deadline. Though communication is important, work comes first in terms of timing. Turning in edits even a day late can ruin your entire business reputation, especially if you’re just getting started. So keep meticulous track of deadlines, working diligently to meet them ahead of schedule, even if you don’t think they’ll take long — it always seems that way before you’re scrambling to get through those last 20 pages. Secondly, manage the “business” side of your business in a timely manner. Respond to clients as soon as you see their emails, send invoices promptly, and file your taxes on time. All of this contributes to your professional reputation, and staying organized will make you feel better, too. Once you’ve got a solid client base and regular work coming in, keep that momentum going by marketing! You’re already ahead of the competition with your personalized branding, so now it’s time to employ even more tactics to market your business. Frequently update your website, social media, LinkedIn, and any publications for which you’re currently guest writing. You might also try using a mailing list; this can be hard to expand beyond your current clients, but it’s a worthwhile endeavor if any of them write series and need continual edits — you can even run promotions this way! Finally, don’t discount the benefits of “offline marketing,” such as in-person networking events and conferences. These can result in some of the most personal, valuable connections you make in the publishing industry, and are a great opportunity to generate some positive word of mouth around your editing business. Remember that not just your organizational style, but absolutely everything attached to your name can get back to your business. With that in mind, venture out into the Internet with great caution: you’re responsible for maintaining your good name! Of course, the flip side of this equation is that you can use your web presence to enhance your brand and gain business! Cultivate your social media to be polished yet friendly (striking the same tone as your website), continue to take advantage of guest posting opportunities, and be courteous to everyone with whom you interact online. Your business is booming, marketing strategies are panning out, and clients are pouring in from every direction — but there’s always more you can do! Once you’ve gotten your freelance editing business up and running, you might consider expanding your qualifications and skill set even more. If you’ve never undergone formal editing training, there’s no time like the present. You might opt for an exhaustive, publisher-run course, or you could do an editing crash course online with sites like Proofreading Academy and The Edit Center. Just remember that even for a seasoned editor, there’s always something to learn! Additionally, you can add specific skills to your repertoire that may come in handy, such as revising query letters for your clients or marketing your services to a new demographic. As long as you’re not getting in over your head (recall our first tip! ), there’s no reason you shouldn’t be able to go above and beyond for your clients. 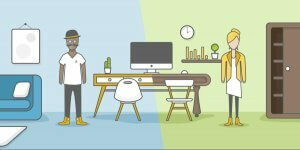 One of the best ways to successfully establish your business and find freelance editing jobs is to join a marketplace. This gives you access to a preexisting wealth of clients, as well as an instant sheen of professionalism. 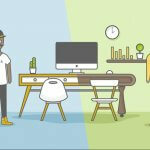 You may want to start with a marketplace like Upwork, where it’s fairly quick to sign up and get connected with clients, without having to go through too intensive a screening process. After gaining some experience you might then move on to a marketplace like Reedsy, which includes more assistive services for you and your clients. Joining a freelancing marketplace is a great way to easily brand yourself, attract and communicate with relevant clientele, and keep your business organized all at once. But no matter how you go about it, now that you’ve read this article, your freelance editing business should already be well on its way to success. We're always on the lookout for talented freelancers. If you're an experienced editor looking for a marketplace to call home, join Reedsy today!